Start and end in New Delhi! 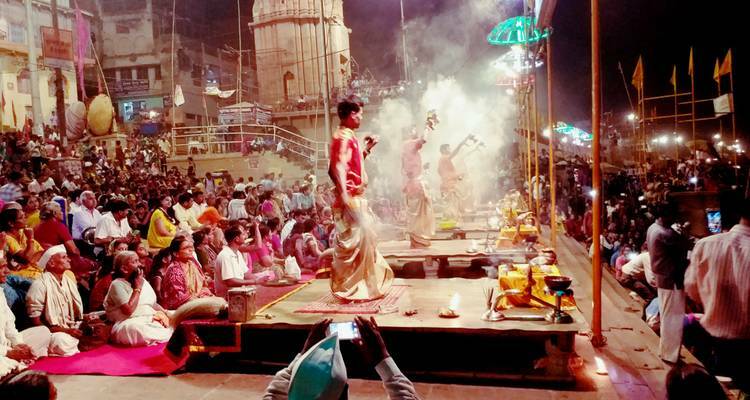 With the private / custom tour Golden Triangle Tour With Yoga In Varanasi , you have a 8 day tour package taking you through New Delhi, India and 5 other destinations in India. Golden Triangle Tour With Yoga In Varanasi is a small group tour that includes accommodation in a hotel as well as meals, transport and more. Dear Damris Greetings of India, Thank you for choosing us to plan your trip and taking out your precious time to review your experience. We are happy to hear that you have a great overall experience and have a lot of memories. In fact, creating good memories is our driving force, and all our partners are constantly striving to achieve this goal. Our team is very happy to receive your gratitude. Once again Thanks from whole VE Team. DAY 01 : ( Delhi to Varanasi by flight ) VARANASI ARRIVAL EMBARK SIGHTSEEING. DAY 03 : VARANASI TO RAMNAGAR FORT ( DROP TO AIRPORT ). DAY 04 : JAIPUR - FULL DAY. DAY 05: JAIPUR - AGRA. DAY 06: AGRA – DELHI. DAY 08: DEPARTURE FROM DELHI. 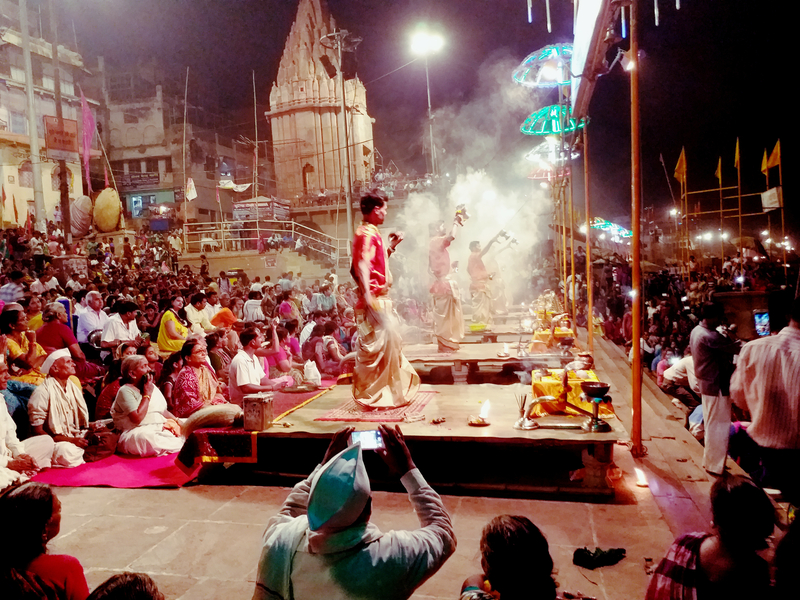 TourRadar only requires a deposit of $99 to confirm this Varanasi Excursion Pvt Ltd booking. The remaining balance is then payable 60 days prior to the departure date. For any tour departing before 17 June 2019 the full payment of $816 is necessary. No additional cancellation fees! You can cancel the tour up to 60 days prior to the departure date and you will not need to pay the full amount of $816 for Golden Triangle Tour With Yoga In Varanasi , but the deposit of $99 is non-refundable. If you cancel via TourRadar the standard cancellation policy applies. Covering a total distance of approx 1,837 km. TourRadar does not charge any additional cancellation fees. You can cancel the tour up to 60 days prior to the departure date. If you cancel your booking for Golden Triangle Tour With Yoga In Varanasi via TourRadar the standard cancellation policy applies.